Both Car and Moto Racing have extensive lists of races, tournaments and competitions that are competed in , watched and enjoyed. They take place from coast to coast and include different classes and have different restrictions. Aside from the following, there are hundreds of different tournaments and championships for formula cars. 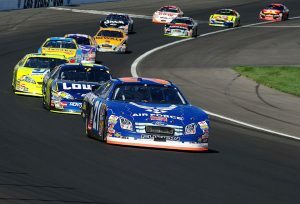 There are big races, small races, short races, long races, and it is one of the most popular of all the motorsports for both participants and spectators. There are a few well-known races within the Speedway class, including the Oval Superstars Tour which tours around New Zealand, as well as Sprint Car Racing (a group of different races). In addition, there are different regional organizations that regulate and facilitate speedway racing in different countries where this type of racing is prominent. There is short course, stadium, desert and extreme off-road courses that exist. Nearly every country that enjoys motorsport has a rally car championship that is held each year. From Japan all the way to Canada. Namely held in Europe, but there are a few global tournaments. There are over 100 Sportscar races varying in size that are held worldwide each year and more and more developing.